This is an O.E.M. authorized part. Fits various Kirby models. OEM Part Number 252802. Made in United States. 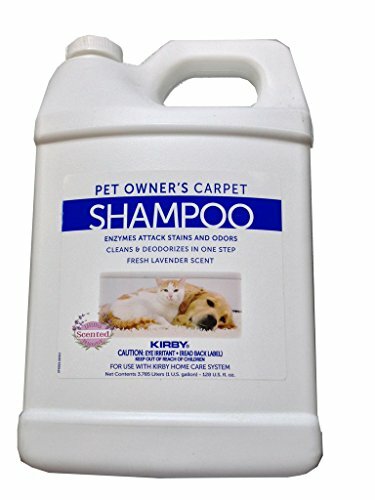 1 Gallon Genuine Kirby Pet Owners Shampoo. 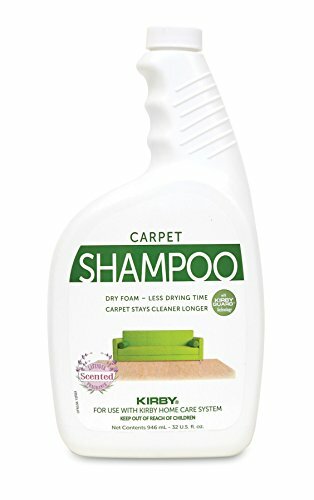 Use with all model Kirby Vacuum Cleaner Shampooer Systems. 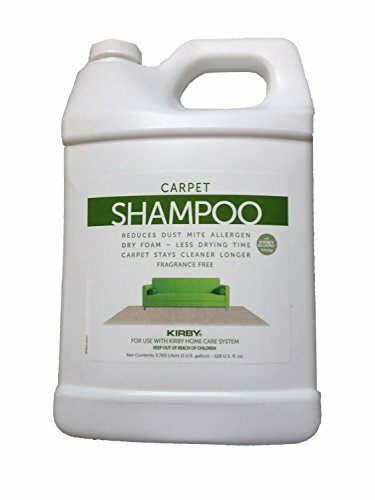 Kirby Allergen Carpet Shampoo neutralizes dust mite allergen particles rendering them defenseless to trigger allergic reactions. It also reduces allergens caused by pollen. 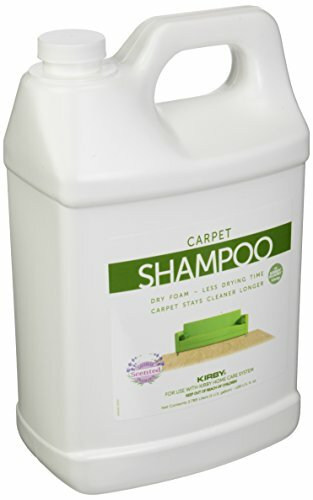 Kirby Allergen shampoo has a unique dry foam formula that quickly cleans carpets and contains special soil repelling ingredients. 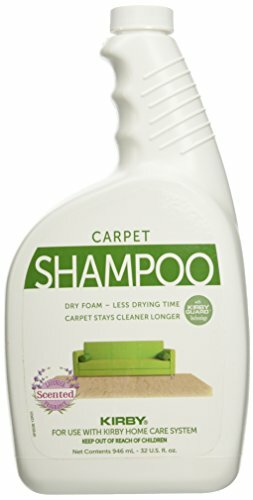 It carpet safe for 6.0 pH level and helps restores carpet. Smells great with a Lavender scent! 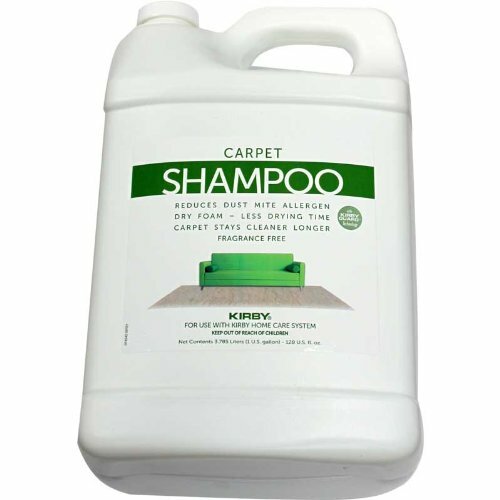 One full Kirby Shampooer tank will shampoo approximately on 10x 12 carpet. 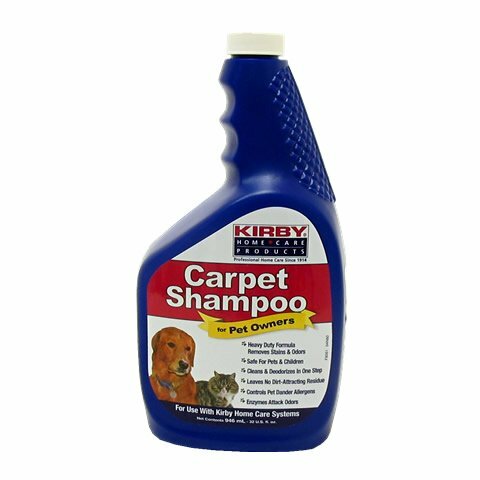 HOW TO USE THE KIRBY ALLERGEN CARPET SHAMPOO 1. Before using always test for colorfastness in a hidden or inconspicuous area. 2. Follow all instruction according to machine instructions. 3. For best results pretreat tough or old stains and heavy traffic lanes with stain remover. 4. Remove furniture & vacuum carpet. 5. 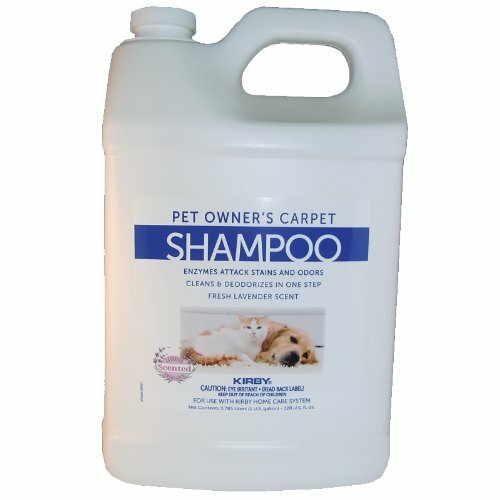 Fill carpet shampoo tank with warm water to top line. 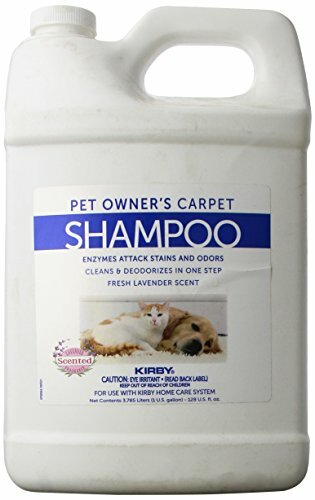 Add three tank caps of Kirby Allergen Shampoo to shampooer. Shake gently to mix. 6. Allow carpet to dry thoroughly, stay off carpet when wet. Vacuum thoroughly after carpet is dry and before replacing furniture. 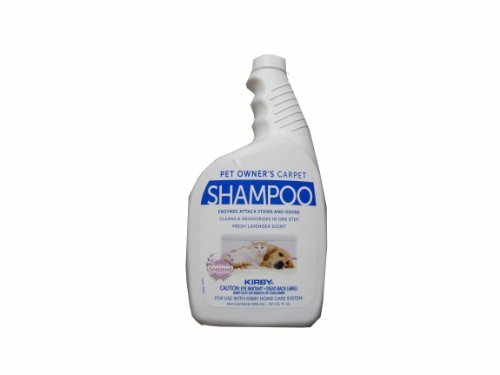 Compare prices on Kirby Shampoo at LiveSaler.com – use promo codes and coupons for best offers and deals. We work hard to get you amazing deals and collect all avail hot offers online and represent it in one place for the customers. Now our visitors can leverage benefits of big brands and heavy discounts available for that day and for famous brands. We try to makes comparison shopping easy with Product Reviews, Merchant Ratings, Deal Alerts & Coupons. Find Deals, Compare Prices, Read Reviews & Save Money.